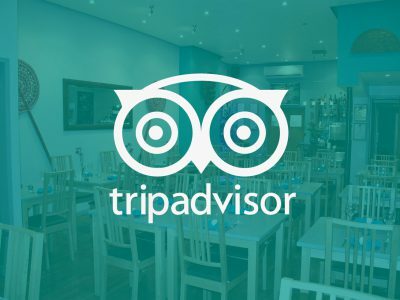 Certificate of ExcellenceWe are delighted to say that we have been awarded the Trip Advisor Certificate of Excellence for three years running now. 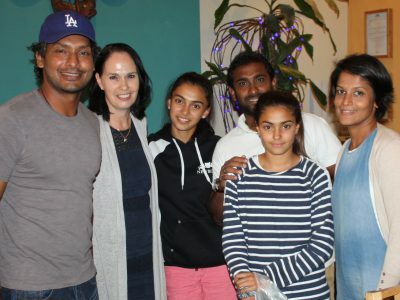 Reviews and CelebritiesRead a host of great reviews from critics, celebrities including Kumar Sangakkara, former cricketer and captain of the Sri Lankan national team, regulars & first timers. Brighton’s Moonstone, the great taste of Sri Lanka Sri Lankan food is unique like it’s culture and is world famous for it’s variety and taste. Moonstone, the award winning restaurant in Brighton, offers an amazing variety of vegetarian options as well as interesting fish and meat dishes. Most of the menu is also GLUTEN FREE. Moonstone dishes are superbly cooked with wonderful spices and a combination of flavours that are a treat to the taste buds yet light to digest. 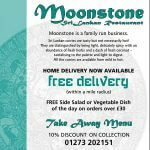 All Moonstone curries are available from mild to hot. 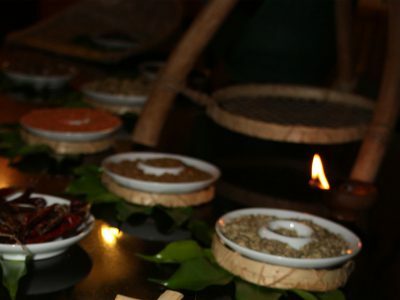 Moonstone curry powder is grown and ground in Sri Lanka within the family and has been handed down through the generations. This intricate blend of spices consists of coriander, turmeric, cumin, fennel, curry leaves and rumpa. The curry powder used with meat also includes cinnamon, cardamom and cloves. 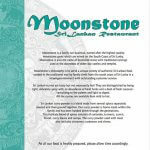 Moonstone staff are attentive, friendly and welcoming and are happy to explain the menu and help you with your choices.